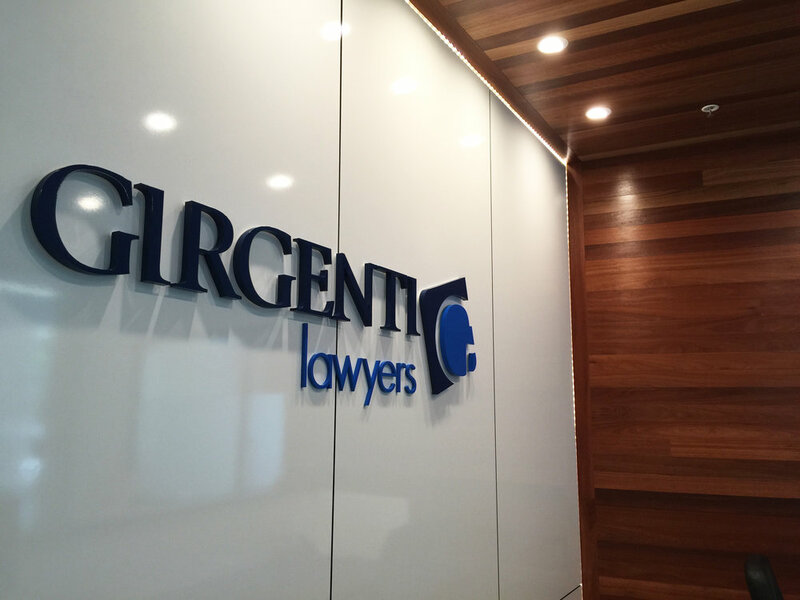 Often the “HERO” Sign for many businesses, Reception Signs can be your most viewed piece of branding. Why not have add some fun and excitement here, by adding varied materials and textures to your logo, think stainless steel, brass, alloys, plastics, timber, 3 Dimensions, LED lighting, matte and gloss finishes etc. For even more of a "WOW" factor we can print and install a feature, graphic wall mural as a backdrop or even a painted colour feature wall. 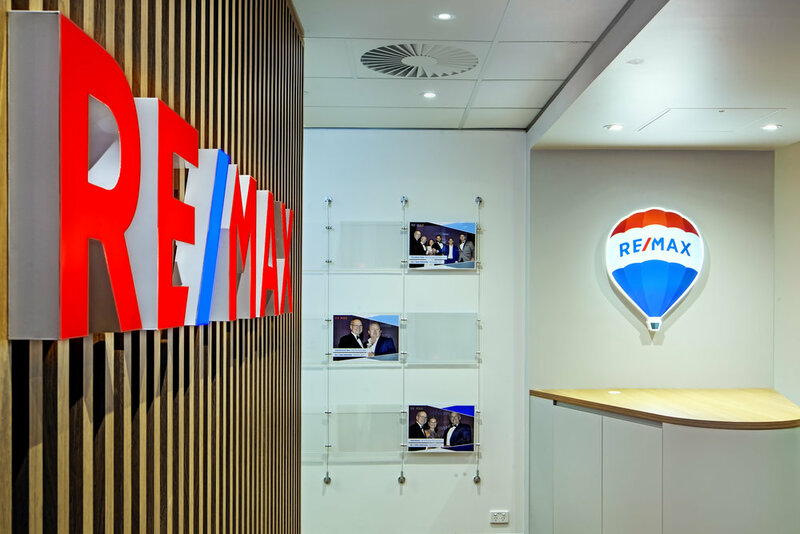 Resin filled 3D lettering at Remax head office, Milton. 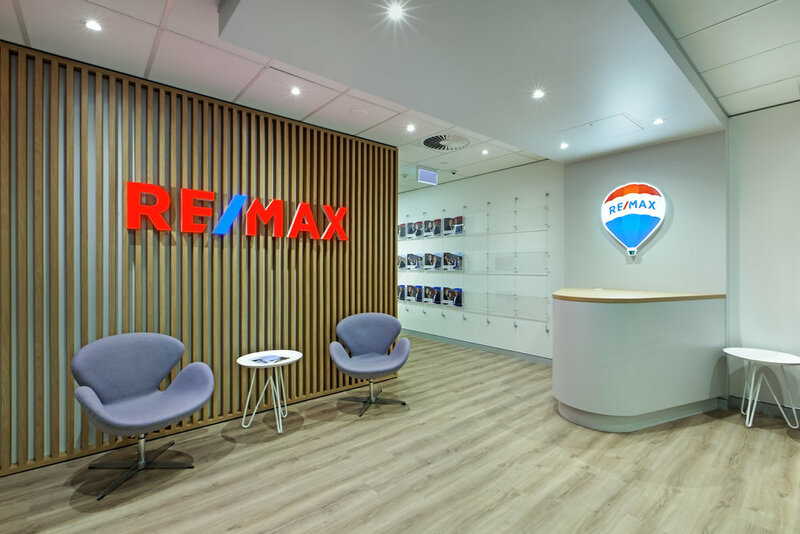 The hot topic right now is our resin filled LED 3D letters, showcased at RE/MAX head Office in Milton. Manufactured from stainless steel and powder-coated (or 2-pac) paint finish, premium LED modules then filled with translucent white resin, and finally “faced” with coloured vinyl to match your specs, these have an unparalleled light intensity for this style of sign.